I chose that title because I am aware that there is a kind of assumption very often around in the church and elsewhere that the default position for human beings communicating and expressing themselves is ‘saying’. And that ‘saying’ is about communicating messages from one container to another. Inside here there is stuff that needs to get inside there. Words are the technology that human beings have devised to get the stuff out of here and into there. As the next three-quarters of an hour or so will demonstrate, it is intermediate technology at best. But that is the sort of model that people seem very often to assume is self-evident. I really want to begin by challenging that rather radically: I want to ask whether there has ever been a time in the history of the human race, when people have just said things. I have a strong, deeply-rooted conviction that it is perfectly likely that people sang before they spoke. I suspect that even our Neanderthal cousins sang rather than spoke. And that probably around their camp fires, if they were any good at camp fires (and perhaps they were not which is why they are not around any longer) they were at least as likely to be singing as to be conversing. Or rather, their conversation was song. You see, one of the things about human beings is that we make a lot more noises than other animals. We do not necessarily make more noise, but we make more noises. We do more different sorts of things with our vocal cords than other animals do. We always have and I hope we always will. Although I do occasionally wonder these days whether the singing capacity is atrophying in a lot of people. But if I may be forgiven for quoting something I wrote a few years ago, ‘As soon as the first tune, the first pun, and the first rhyme were heard, the world was decisively different.’ Which was a way of saying that we must not assume this default position of speech as a means of getting stuff from one place to another. We must not assume that saying, prose, factual information or exhortation are the only way or the primary way of talking. Now this is not just an academic point about primitive anthropology; it is a point which I think has been brought home to us more and more vividly in the last few years by some of the work that has been done on music therapy. People have discovered, working with deeply traumatised or sick people, that something other than ‘saying’ is of crucial, sometimes life giving, importance, in extreme circumstances and that the building up of human expression, human communication and human solidarity does not depend just on exchanging ideas in the form of words. I could quote a number of examples, but perhaps one of the most moving for me in recent years you can find in a book called Finding You, Finding Me by Phoebe Caldwell, who is a therapist who has worked extensively with young people who have various kinds of autistic disorder. And she writes therein of establishing patterns of speech, communication, interaction, by rhythmical sound, by echoing and then elaborating what comes to her. Faced with somebody who she is told is incapable of communicating, she simply sits and listens to what noises they make. And sometimes they will make what appear to be ‘shapeless but compulsive’ noises: beating rhythms. Phoebe saw her task as listening for those rhythms, picking them up, replaying them to the young person involved and waiting to see what response there was. And gradually over a day, two days of this kind of therapeutic involvement, she found that young people who had been declared by medical experts to be incapable of intelligent communication, were communicating, smiling, reacting, reaching out and touching. What are we saying by singing? I think we are saying something in that area of our understanding of humanity. There is always more going on in human interaction than the exchange of labelled ideas, in little brown paper parcels, from head to head might suggest. And just to give one or two more examples from this world of therapy. The memorably named Mercedes Pervitchovitz, a South African Croatian as I remember, in a wonderful book Music Therapy: Intimate Notes reproduces a number of interviews with therapists dealing with deeply traumatised children and some adults. I will just read a paragraph here about one therapist dealing with a bereaved and emotionally very damaged child. In one session there were three reed horns. She came in; she was acting out all sorts of stories by now. She picked up the horns, blew them and said ‘These are three ones’. Blew one and said ‘That’s the daddy one’. Blew another and said ‘That’s the m…’ and stopped because there was not a mummy. She went on to sing out loud ‘And the mummy one wasn’t there, it was very sad’. At that point I could come in with the sort of music that was not obtrusive but that held the atmosphere. She was finally able to say ‘And the mummy one they didn’t know but she was under the grass’. She in fact buried her mother out of the story. I don’t think she could have spoken like that without music: without the holding feel that there was. The music meant that it was not just her speech alone which could be so naked. She sensed that the musical atmosphere was totally involved in what she was saying about her mother. The atmosphere held her in such a way that she was able to carry through and carry on: expand her story into music, knowing that the music could allow this, support it and contain it. She could say all these things, sing them if she wanted to. David Aldridge, editing a collection on music therapy in palliative care has this to say ‘We must return once more to the central role of the body’. How we encounter the unfolding of our experiences is reflected in our bodies. The body tells us how language works: the meta-communication as it were. And the reason that music therapy is so powerful is that it emphasises the lived body as being sensed not only as being sent. So expressing ourselves as a musical identity or as a danced piece, even as a dramatic event, may stay closer to the reality of symptoms as they are expressed. Expressive culture is the projection of the body into an expressive medium: music. Manipulation of that musical medium is playful expression and culture is dedicated to understanding how to use that medium. As I say, I could quote a large number of other examples, but those are simply to give you some sense of how all of this attempt to understand ‘what we are saying by singing’ is not an ecclesiastical question, an academic question, an historical question, but something which is the daily concern of many people working at the very frontiers of human healing. Whether with the autistic teenager, or with the terminally ill adult. There is a phrase used in the last quotation about (paraphrased slightly) ‘being or becoming a musical identity’. Musical expression is about occupying an identity as a physical affair. A reminder that language is a physical matter. How very easy for us, isn’t it, to suppose that language is not really material. We forget that it comes from the stuff in here: that it comes from bone and gristle and flesh; from processes of breathing. We forget what it depends on. We imagine that it hangs around somewhere in mid-air and we pluck these things called ‘words’ out of mid-air, and we deliver them, across mid-air, once again from container A to container B. But language is part of the whole complicated way in which human beings declare that they are ‘meaning making’ beings who occupy a space that has an integrity and intelligibility to it. We make ourselves intelligible, and we express our intelligible integrity, not just in concepts and ideas, but in a whole range of symbolic activities. Among those symbolic activities is using the stuff in here and among the uses of the stuff in here is singing as well as saying. So we are not talking about a single normative function for the voice. But about that unique, physical phenomenon called the voice working in a variety of ways to make sense, to locate ourselves as intelligible human beings. And the whole practice of singing is linked very strongly to the physicality of the body. Perhaps more than any other use of the voice. Because it does depend, as every singer knows, on breath control, it does depend on the alternation of stressed and slack, which is part of the essence of language. Singing, like poetry, is language raised to a rather more extreme pitch. I do not just mean extreme pitch in the musical sense. The tensions are tightened, the contrasts are more marked, and as I say, the physicality, or the body, is more obviously involved. Those of you who have sung a Haydn ‘Creation’ or a ‘B minor mass’ will realise that at the end of the performance, all sorts of muscles, which you may not have been wholly aware of before, have been extensively used and you will feel physically tired, because singing is a physical thing. You feel a little bit tired after giving a lecture for three-quarters of an hour or so, but it is another example of what I mean by turning up the temperature, turning up the tension. Singing engages in that way. Now, singing, like poetry is as I have hinted a deliberate attempt to heighten contrasts, tensions. To develop what is going inside language to the point where it generates unsuspected, new horizons. And we develop and complicate patterns of speech and song, partly because of the inner logic of what is being said and partly to challenge and to be challenged. When you hear people from less inhibited cultures than our own, improvising musically, you realise that challenging and being challenged is part of good musical improvisation. Within our own culture, perhaps the last surviving sign of that is what a good jazz quartet will do. You are challenging or being challenged, you are pushing out the boundaries a little bit, expecting to be made to work beyond your own comfort zone and in all of that together, you create something more than you started with. And that is something which you find in traditional poetry, traditional singing: the world over. A sort of, what I would call, a rule-informed improvisation is basic to so much of traditional poetry and traditional song throughout the world. And it survives interestingly, in some ecclesiastical contexts even today. Anyone whose education in Gregorian chant has been shaped mostly by listening to records of the brethren of Solesmes delivering it with their amazing, painstaking exactitude and rhythm, will perhaps be a little bit shocked by a first encounter with Greek chant, where you are likely to be up against a very improvisatory feeling and sounding environment. People know the rules and then they mess around with them. You may very well not know at what particular point you change your note: Greek choirs singing Byzantine chant during the liturgy may be taking considerable risks with their material. And I have heard Greek choirs whose risks have led them into the equivalent of a major traffic incident. But the point is that the essence of the work you do as a cantor in the Byzantine tradition, is you know the rules and you play with them. You are never quite sure where you will end up at this or that point. But you are challenging and being challenged: you are at certain points, as it were, making it that little bit more difficult for the choir to follow you because a good choir will rise to that and something fresh will happen. And because I have to mention a little bit from the Welsh context, the tradition of penillion singing in Wales, where you originally would have to improvise counterpoint to a folk song played on the harp, has something to do with that as well. Singing is about that kind of challenging or being challenged: moving the boundaries. As it develops, it is an attempt to discover more and more things in this activity, of positioning yourself, of making yourself more intelligible. And that is why, of course, it is also about reinforcing a shared identity more and more fully. And when you see and hear the exchanges of traditional song and music and traditional chant in many contexts, you see and hear those elaborating, crossing-over, feeding on themselves, generating new things, you realise how important a sign, an image this is of the nature of community. Tested, strained, broken, reassembled: a process that is constantly going on. So what are we ‘saying by singing?’ We are acknowledging the bonds, and we are recreating or reinforcing the bonds between us that are not just a matter of flat, verbal description or encouragement or haranguing. We are dealing with some quite mysterious and not very easily accessible levels of solidarity. As we understand these a little bit more, we can develop them, work with them, test them, break them, reassemble them. What we are ‘saying by singing’ is precisely that we are potentially whole beings not an unhappy assemblage of words and stuff. Words that go on in our heads and are uttered by flat prosaic speech and the stuff that occupies the rest of the space around here. It is this bit of stuff, this assemblage of bone and fat which is meaningful, which makes meanings and which communicates. And when we sing, we say that. And to move into the theological register a bit more directly, that is I suppose, one way of reminding us that when God Almighty chose to redeem and transfigure his world, he did not send a message. His speaking was a physical acting out; a life lived in history. The word made flesh. And it is that fundamental principle of ‘word made flesh’ that is perhaps the best theological justification for singing rather than just saying. Because singing is part of our fleshliness. And one of the ways in which our flesh becomes meaningful and beautiful. All of which ought to suggest to us, and I hope this is congenial to the ears of this company, that hymns are never just decorations. Singing is not an afterthought in Christian action and worship. Singing is not an afterthought. And perhaps that is the one simple message I want to leave with you. Singing is not an afterthought: there is something about our relatedness to one another and to our Saviour that requires an involvement of more than just the flat surface of words and ideas exchanged. 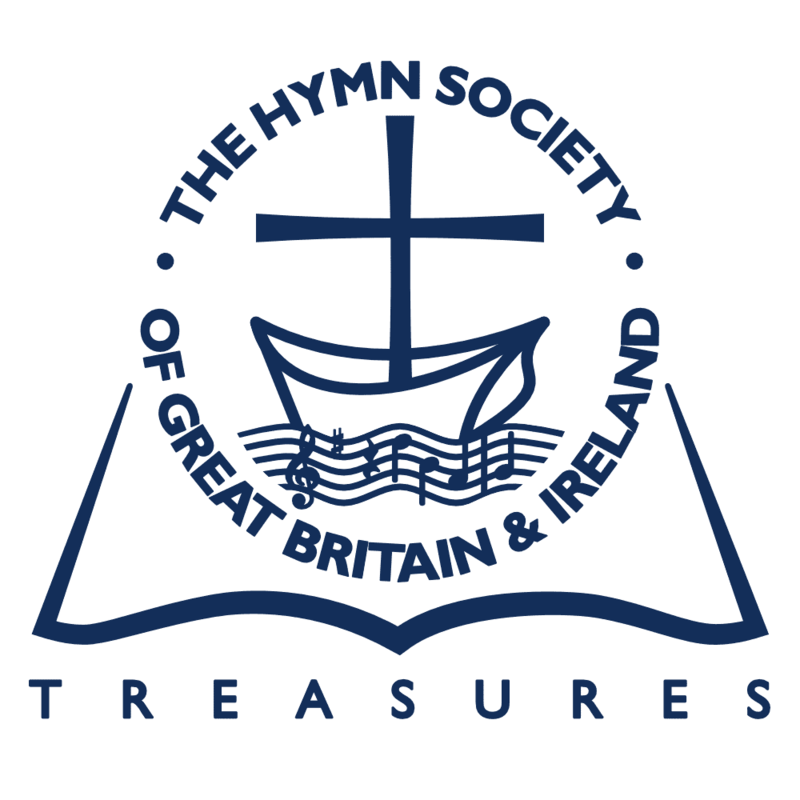 People speak about the New Testament hymns, sometimes, don’t they? And certainly when I was studying the New Testament as an undergraduate, I came away with the vague impression that there were certainly bits of the New Testament, like Philippians 2, which might very well be hymns, but surely no-one would ever have had the vulgarity to sing them. And yet, are we not being implicitly told again and again in the New Testament, that the singing, I will not say comes before the theology, but that the singing is often the first way of doing the theology. I am absolutely sure that Philippians 2, if it is indeed a pre-Pauline hymn, was sung. I mean, what else do you do with hymns? If it is a hymn, sing it! I imagine that Zechariah, when he uttered the Benedictus, did it not exactly in Anglican chant, but certainly in something other than the well modulated tones of an aging cleric. I like to imagine a cracked aging voice improvising a tune, rather to the surprise, and probably the embarrassment of everybody around. I like to think of the Magnificat being uttered by a teenage female voice in song. These are not afterthoughts. When they had sung a hymn, they went out to the Mount of Olives. The people of the New Testament sang songs. Zechariah and Mary and Simeon sang songs. Jesus sang songs. It is not something that mysteriously disappeared at the end of the Old Testament. Because we know that in the Old Testament, people sang quite a lot. Singers were a distinctive order in the Temple, and I am sure that they made a lot of noise which would have surprised us greatly had we heard it. We hear that the children of Israel sang and indeed danced on the shore when the Egyptians perished in the Red Sea. Singing is not an afterthought in the Old Testament: why should it be different in the New? Hymns come before creeds, or indeed we could better say they are creeds originally (Philippians 2 once again). And when the seer of revelation describes the songs of heaven, I think we have to take two things for granted: first that he really did mean songs, and secondly that perhaps he did not expect them to be totally different to the sounds he heard around him when he joined with his brothers and sisters in Christian worship. And there he is, John the seer, in exile and imprisonment, on the isle of Patmos, he cannot join in song with his brothers and sisters, so in his visionary prayer he listens hard to pick up the song of the angels. He was not the first or the last Christian to find the song of the angels audible in circumstances of isolation, darkness and depression. Singing is not an afterthought. Hymns are not decoration: they belong to the very heart of Christian worship from the very beginning. And I remember how surprised I was, again when I was first reading a bit about church history and the history of the liturgy, to realise that, of course, said services and the western low mass is a very late, decadent, mediaeval, papistical corruption. Part of the Reformation’s energy was to restore singing to its proper place. And to overcome the uncatholic habits of the late Middle Ages which had reduced the splendour of the celebration of God’s word, God’s body, God’s blood, to a private verbal transaction in a side chapel somewhere. All these things are latecomers on the scene and whenever Christian Revival takes place, whenever there is a sense of going back to the roots, being radical, in Christian worship, inevitably song comes with it. Because Revival seems to mean a recognition that hymns are not an afterthought. One of Thomas Hardy’s poems comes to mind. You probably remember ‘The Choir Master’s Burial’ and the vicar in that sad little poem, or rather beautiful little poem, the vicar discouraging the old-fashioned and doubtless rather incompetent church band from attempting to play around the grave at the funeral of the choir master. And these climes out of doors. The church band is duly cowed and the vicar is suitably and satisfyingly woken up in the middle of the night by the sight of a lot of angels playing old-fashioned instruments around the choir master’s grave. It is a poem of great charm, but of great theological substance in fact: the vicar is wrong because the vicar thinks music, hymnody and all the rest are decoration. God forgive him; the angels know better. Which you will have heard in various languages in orthodox churches. Well, say what you like: one gives a slightly different message from the other. And I’m trying not to be too rude about starting services, because we all know, we who are clergy, that you have to create an atmosphere very often because you cannot take it for granted. There is often a difference between trying to make people feel at home and being able to take it for granted that people know what they’re at. And in these days when you don’t quite know who’s going to be there and how much at home they feel and how awkward they feel. Well you need to do that bit of work, that rather awkward and embarrassed introduction. But let us recognise that there is a difference; let us recognise that there is something to be said for that other environment in which people appear to know who they are, and where they are, and what they are doing and to be able to crystallize that and to let it be heard and seen, in song. The ‘welcome to our visitors’ style actually has more work to do in the long run. It assumes more readily that you are facing insiders and outsiders; that there is a gulf between the managers and the managed: that people need to be coached into their roles rather than knowing where they stand, and what to say and sing. So, a challenge…I’m not suggesting any simple solutions to this: that we all adopt charismatic practice, or that we all become Greek orthodox. There are no such simple solutions, but let us at least recognise where some of the difficulties and differences reside. What are we saying? We are saying something different with the ‘welcoming’ formula from what we are saying by singing. How to hold onto the robustness; the corporate confidence of a church that sings, without simply alienating or bewildering those who need to made to feel welcome. Well, that is a problem we all confront in one way or another. And perhaps you will have something to say about that in discussion later on. But what I am saying about singing, and what I think we are saying by singing, makes it actually not too far away from being a kind of sacrament. A sacrament is a material declaration, and sometimes reshaping or remaking, of communal, communicated unity. A sacrament is an event in which God is asked to use material things too renew our understanding and to confirm our faith. And while no-one has yet, to my knowledge, suggested that hymn-singing ought to be the eighth sacrament (or the third, whichever numeration you choose to work with), you will see I hope that there is something seriously common here between the two enterprises. And both of them, sacrament and singing, I think, suggest that the church when it is at its business of just being the church, has to push us beyond a functionalist, narrow view of what human beings and human activity are like. We talk about celebrating the sacrament. And the idea of celebration is one that is not that easy to get across to modern people. It is not simply celebration in the sense of an event that makes us feel cheerful, although that is sometimes what it is reduced to. Celebration in the sense of a solemn, purposeful activity that allows a deeply mysterious, profoundly life-giving reality to flower in our midst: that is celebrating the sacraments. Letting something flower in our midst: that is why singing is comparable to it. That is why singing too challenges the functionalism that so often diminishes, weakens our sense of what human beings in Christ are like, can be like. A celebration, singing, sacramental activity, whatever else we want to say; the drama of our common action, is not a mere statement of an easy or cheap solidarity. Celebration for Christians involves an important element of difficulty, of challenge and testing: stretching the categories and word and musical idiom. Celebration can involve moments of difficulty. When we celebrate the sacrament, we have at some point to confront that unique and serious difficulty called sin. And work into our celebration the acknowledgment of weakness and failure, of unresolved tension and broken hearts. And allow it to become part of the flowering of God that takes place in the midst. It is a difficult transaction to make. And there is a wonderful phrase in one of David Jones’ poems, where he describes the priest saying mass in the old Roman rite, coming to a very dense, complex bit of prose in the Eucharistic prayer, and he says: ‘Here the craftsman has to negotiate a tight corner’. The great struggle in the Arts today in Britain is between the real theatre and musicals. The musical exists simply to make you feel better. Drama is something else. He is very, very rude about musicals. Ruder than I would really want to be, but it is one of those contrasts that makes you think. Let us please avoid a situation where the church assumes that the musical is the essence of corporate musical activity. Let us continue to ask how the drama, with its difficulties, tensions and its resolutions, is expressed in our singing. And just one little clarification, as it were in brackets there, I am not suggesting that difficulty is a good thing if it is just the display of somebody’s expertise: difficulty at someone else’s expense. I think it is probably something we can do and recognise: drawing that distinction between difficulty which is selfish display, and difficulty which is somehow a way of letting you in to the depth and challenge of what you are talking about. It is not easy to talk about it in abstract terms, so I shall not try much more than that. So, what are we saying by singing? We are saying something about bodies, about the integrity of spirit and body. We are saying something about unity: unity which is more than just the dutiful repetition in chorus of something agreed on paper. We are saying something about unity as belonging too with that physical ‘being together’, testing out the tensions, resolving some of the discords, moving together into a pluriform, many layered, common action, which is what worship is. And so we are saying something also about joy. We are saying something about an experience which is not simply recognising that we are feeling happy, but recognising that body, mind and spirit we are caught up in something greater than ourselves. In a blissful cosmic recognition of the creator and redeemer: the song of the angels, if you want to use the difficult traditional imagery for it. Which means that finally ‘What we are saying by singing’ is something about the nature of the universe in Christ, about the new creation and I do not think we should be bashful or embarrassed about making such a large claim. When we sing, we say something about the nature of the universe in Christ. From scripture onwards, believers have reached for musical imagery to describe what it is that characterises the wisdom of God at work in the universe. And it would be very odd if when we attempted to make visible in our worship on earth the wisdom of God at work around us we did not use the methods that apparently the rest of the universe uses in the celebration of God: that is, singing. By singing, we say that we believe the universe is in the hand of one God; that the universe is made to reflect the beauty of God; that the unity of all things is something we shall only discover by an involvement deeper than that of minds alone. We are saying something about the whole relation between creator and creation, which is, yes, difficult, and yes, a little counter-cultural these days. But yes, also miraculous, wonderful and, happily for us as believers, routine. Rowan Williams is honorary president of the Society.